One of the greatest advantages that the Iskandar Malaysia endeavour in the south of Johor has yielded is immense opportunities to create iconic waterfront developments; the kind that will generate international appeal and reel in foreign investment dollars. The scenic southern coastline as well as the many river ways that Johor is endowed with provides imaginative developers with an ideal canvas to create outstanding environments for work, play and stay. Thus far, most have lived up to expectations, with each new concept vying to trump the last. This healthy competiveness is serving to transform Malaysia’s southern-most coast into a very attractive global destination. Among the leading waterfront concepts poised to reinvent the landscape in Johor today is Tebrau Bay, a 100-acre development undertaken by Bayou Bay Development Sdn Bhd – a wholly-owned subsidiary of Iskandar Waterfront City Bhd (IWCity). botanikaStrategically located on prime land along the banks of the Tebrau River and beside the Straits of Johor, facing a magnificent view of Singapore, Tebrau Bay is well-positioned to realise its potential of becoming a truly international waterfront lifestyle and cultural centre within Iskandar’s eastern development corridor. In addition to residential opportunities, the expansive mixed development will also boast a commercial centre, shopping galleria and an iconic waterfront recreational area. The location also offers advantageous connectivity, with the nearby Eastern Dispersal link connecting it to Northern routes and the CIQ checkpoint to Singapore via the North-South Expressway. Taking shape on 12-acres within this promising address is a luxury residential development called Botanika, which comprises three-storey villas and high-rise apartments. 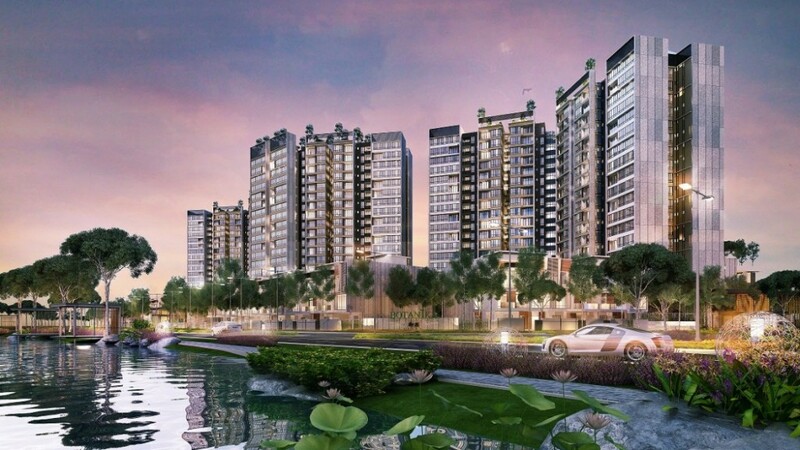 Set in a low-density enclave of 65 units per acre, IWCity said the project will be an integral component of Tebrau Bay, designed to be a place where “your life belongs and revolves”. It is an address that leverages on convenient proximity to a wide range of public amenities, international schools, commercial business centres, shopping malls and retail outlets, healthcare facilities as well as golf and country clubs. Enveloped by a refreshing 6-acre green lung, Botanika aims to give homeowners an invigorating lifestyle experience, with thoughtfully planned public and private integrated spaces, stylish and intimate abodes, and spacious layout living space. Currently on offer are dual key four- and three-bedroom units with built-ups that range from 1,126sq ft to 1,488sq ft. Priced between RM640,800 and RM1.03 million, these units have received encouraging response from buyers since the soft launch in November last year. 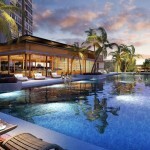 According to IWCity, the dual key concept is fairly new to the Johor landscape, and the positive reaction from buyers indicates that it is likely to be the next big trend as it offers homebuyers the option of splitting their unit into two residences for grown-up children, ageing parents or tenants to generate extra income. In addition to offering creative use of space, every unit will feature ceiling a height of 3.1 metres and be partially fitted with kitchen cabinets, hood and hob, air conditioners, wardrobe, laminated flooring, shower screens, water heaters, plaster ceiling and lighting as well as a smart home system. The smart home system enables residents to control and manage their home devices through a single application by conveniently connecting to their smart phones. Units will also offer one of two panoramic views; either a northern view of the Tebrau River and the Ponderosa Golf Course, or a southern view of the city skyline. Outside the front door, shared common areas will be luxuriously spaced too, with 10ft-wide corridors separating units. In conceptualising Botanika, IWCity said there were two key elements that the company was determined to deliver. 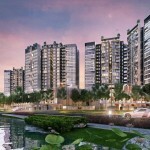 The first is a distinctive ambience of greenery and water features. The second is to provide a broad selection of living spaces that offer residents luxury, comfort and an outstanding range of facilities. A wide range of lifestyle facilities will be located at a 2.8-acres sky deck on level 5, which will host two swimming pools, a children’s wading pool, tennis court, Jacuzzi, full equipped gymnasium, multipurpose hall, and a Zen garden and maze garden, among others. Additionally, more then 7,000 plants are proposed for the whole development with 15 species of trees, seven species of palms and a variety of shrubs, groundcovers, climbers and creepers. 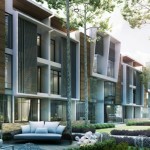 The project comprises three-storey villas and highrise luxury apartments. The project also comprises three-storey villas. By creating an eco-friendly environment, IWCity believes it is not just playing its part in reducing the carbon footprint of the built environment, but also boosting the overall look and feel of Botanika by softening the building edge, minimising light and heat reflection and providing attractive spaces for families to mingle and spend quality time. The maintenance of facilities and amenities will only incur a cost of RM0.25psf, which is competitive for a development of this calibre. Residents will also be afforded two car-parking bays per unit. Botanika casts a wide net where target market is concerned, appealing to first-time homebuyers, upgraders from around Johor, Malaysians who work in Singapore looking for an address that eases the daily commute, middle-income Singaporeans looking for a luxury buy in Johor and Malaysia My Second Home property seekers. 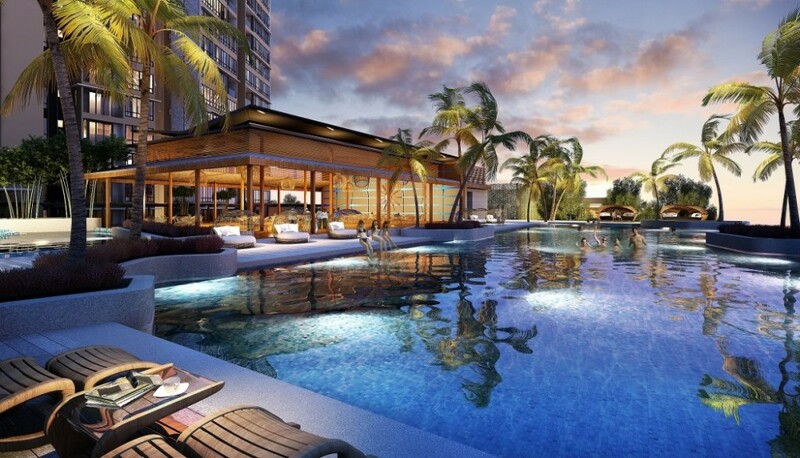 In terms of investment potential, IWCity projects that buyers will see 20% capital appreciation in short term once the project is complete, and more than 50% in longer term as Tebrau Bay and surrounding developments continue to mature. Those looking to purchase for rent can probably expect a yield of 6% to 8%. This is based on the fact that the location is poised to gain from the spillover effect of the ongoing Pasir Gudang and Iskandar Malaysia Flagship A developments. Other commercial and retail components planned for Tebrau Bay and Greenland Tebrau will also boost the value of the residential component. Botanika is due to be fully completed by 2018, by which time residents will also benefit from improved connectivity resulting from upgrades on the existing Permas Bridge.